AgileSwitch, LLC, innovator of intelligent IGBT and SiC MOSFET gate drivers, introduces the 62EM (62mm Electrical Master) SiC MOSFET gate driver series. 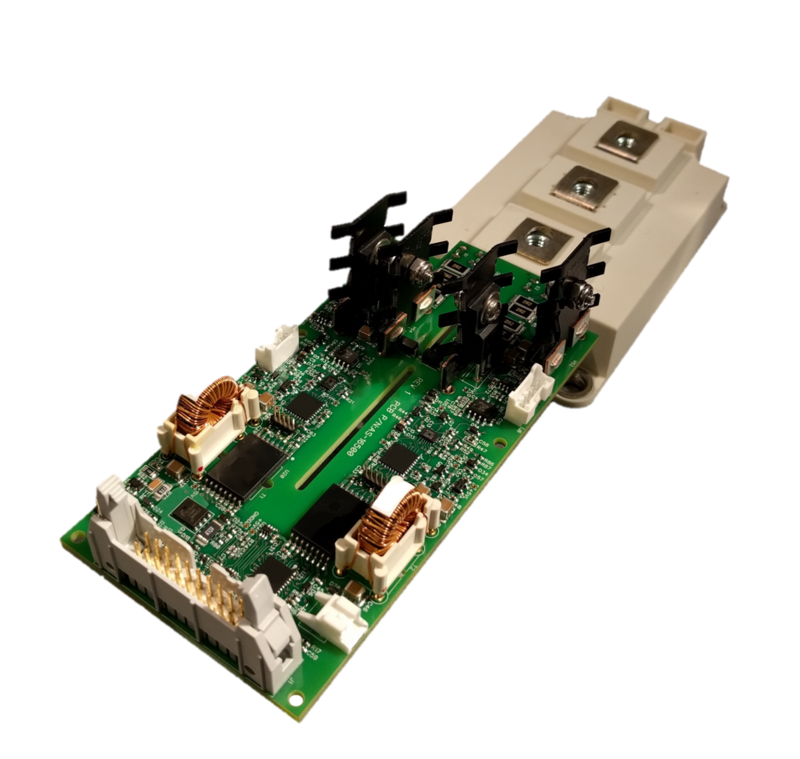 The easy-to-use, plug and play driver is compatible with most 62mm SiC MOSFET modules. Applications including heavy-duty traction vehicles, auxiliary power units in trains, buses and trolleys, induction heating systems and other high-power industrial systems are rapidly moving from IGBTs to SiC power devices. The 62EM Series is designed specifically to facilitate this conversion. The 62EM driver incorporates AgileSwitch’s patented, software configurable Augmented Turn-Off (ATOff™) technology. ATOff addresses two significant impediments to the successful implementation of Silicon Carbide modules in high-power applications. By reducing turn-off spikes and ringing, both under normal operation as well as short-circuit (DSAT) conditions, SiC MOSFET modules can be safely operated in the higher frequencies that enable dramatic increases in power conversion density. This allows SiC MOSFET modules to be operated closer to their rated specifications, resulting in size, cost and performance improvements. The 62EM gate driver is designed for harsh, high-noise environments, with optional conformal coating. It is equipped with powerful diagnostic and troubleshooting tools and it continuously monitors critical parameters, such as temperature and DC link voltage. For more information please see the specification. A whitepaper describing the performance improvements attained using ATOFF is available for download.